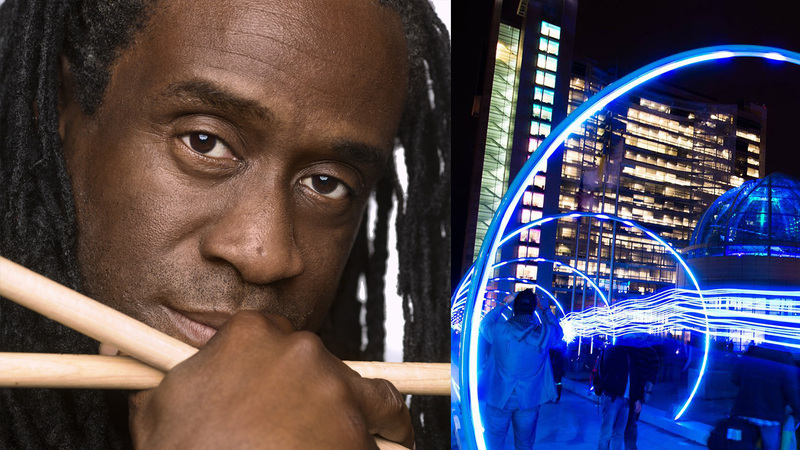 In tribute to Winter Fest’s opening night, acclaimed drummer Will Calhoun performs on the Sonic Runway, a sound-powered light-art installation in front of San Jose City Hall at 200 East Santa Clara Street. Sonic Runway was created by artists Rob Jensen and Warren Trezevant for the 2016 Burning Man festival as a visualization of the speed of sound and is now on display in San Jose through March 9. Will Calhoun is a two-time Grammy winning musician from the Bronx, New York and co-founding member of the genre-busting rock band Living Colour. He is a recipient of the prestigious Buddy Rich Jazz Masters award for outstanding performance as a drummer. Calhoun has produced and toured with Mick Jagger, Harry Belafonte, Pharaoh Sanders, Wayne Shorter, McCoy Tyner, Salif Kieta, Mos Def (Yassin Bey), Lauryn Hill, Paul Simon, Madonna, Emily Sailers and Public Enemy, among others. Between touring and recording Calhoun spends much of his time abroad, researching music and ancestral rhythms in West Africa, South America, and remote parts of Asia. Calhoun is a Guest Artist at the Lucas Artists Program at Montalvo Arts Center. 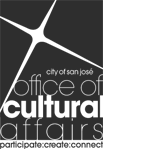 Will Calhoun’s performance on the Sonic Runway is part of the Thursday night activation series, Experiments in Sound, organized by the San Jose Office of Cultural Affairs.